Fear that France might try to regain Acadia led the British government in 1755 to deport several thousand Franch inhabitants from the province. The Acadians had lived under English rule since 1713. And so it began in September of 1755 when the population of Acadia, about 6,500 souls, was loaded onto ships and scattered everywhere along the eastern coast of the North America, some imprisoned in England, some removed to France. Children separated from parents, husbands from wives. All with only what they could wear or carry. Leaving farms most would never see again. Homes burned. Animals destroyed. This began in 1755 and went on until 1763 until every last Frenchman had capitulated. By then the number of people displaced reached nearly 12,000. Longfellow's epic poem Evangeline depicts the somber tale. The Cajun people in Louisiana are descendents of these deportees. Many of the Acadians scattered along the eastern seacoast made their way back to Québec and re-established themselves in Canada. Many remained in the United States. But, that is the end of the story, the beginning is more hopeful, but not without stumbles, the biggest of which is the fact that England claimed the land as their own. When the British flag flew over the colony it was known as Nova Scotia, when the French flag flew, it was Acadie or Acadia, and the flag changed many times during its brief history as a colony. It was the British flag that flapped in the wind in 1755. Acadia/Nova Scotia, was the first viable French settlement in the New World. Although settled by the same people, the goals of Acadia were never the same as Québec. Québec was about fur trading and commerce and missionary work. Acadia was more about farms... a bucolic life. No strife other than the day-to-day unavoidables. 1603 Henry IV of France, granted a charter which, in part, stated that French settlers would be supplied and sent at the rate of a hundred a year. 1604 Two ships set sail from LeHavre, France in March 1604. First Acadian settlement on Saint-Croix Island. This first group of settlers suffered many hardships -- disease and malnutrition reduced their number greatly. The next year more colonists were sent out, and Acadia had a beginning. 1607 In the spring, the charter was revoked and in August of that year, the settlers had to leave Acadia and return to France. 1632 Treaty of St. Germain-en-laye. Québec and Acadia are returned to France. In July, Issac de Razilly departs from LaRochelle, France with Charles de Menou and 300 settlers. The first lasting colony was established. Artisans, soldiers and some families were recruited. It is these people who are Acadian ancestors. 1636 The St. Jehan arrives on April 1st in Port-Royal with French settlers that includes both men and women. 1655 Fort Port-Royal is captured by the British. English territorial claims overlap Acadia. 1670 Treaty of Breda where Acadia is recognized as a French possession. 1671 The population of Acadia, numbering 340, is enumerated on the first census. 1672 Beaubassin in the Chignecto region is established. 1682 Grand-Pré located in Minas is founded. It will become the bread basket of Acadia. 1690 Port-Royal is captured by the British. It will be renamed Annopolis Royal, Nova Scotia. 1697 Treaty of Ryswick whereby Nova Scotia is returned to the French. 1703 Another census shows Acadians number 1,450. 1710 Port-Royal falls to the British one last time and now called Annapolis Royal after Queen Anne. 1713 Treaty of Utrecht. Acadia now belongs to England never again returns to France. 1749 The English found Halifax and bring 2,576 English settlers to populate and settle the land. 1755 The Acadian Diaspora/Deportation begins and will go on for years. 1758 Acadians who had gone to Prince Edward Island (Ile St. Jean) earlier in agreement with the British government or who had fled there later are deported to France. were never heard from again. Acadians on Cape Breton Island are deported to France. Source for much of the timeline is taken from the site: www.acadian-home.org/acadian-timeline. My family has 29 Acadian lines, all people who returned to Québec and assimilated into the French population. The following is a list of them. AUCOIN... First settler: Martin Aucoin was born in 1632 in the parish of Saint-Barthélemy, LaRochelle, Aunis, France. He arrived in Acadia about 1670. Around that time, he married Marie-Jeanne Gaudet. BABIN... First settler: Antoine Babin, about 34 years old, arrived from France around 1660 at the earliest. He was a bachelor when he arrived. At the census of 1671 in Port-Royal, Antoine Babin was 45 years old and a laborer. He had 6 cattle (horned animals), 8 sheep small as well as large, and 2 arpents (acres) of value. At the census of 1678 in Port-Royal, he owned 4 pièces de bétail (4 head of cattle), 2 sheep and 1 arpent of land. At the census of 1686 in Port-Royal, he owned 10 cattle (horned animals), 12 sheep, 8 pigs, 1/2 arpent of land and one rifle. One of his descendants, Joseph Babin and his family, were in Belle Ile en Mer, France, in 1766, following their incarceration at Southampton, England. BARILLOT... First settler: Nicolas Barillot was born about 1646 in France. He arrived in Acadia about 1680. He married Martine Hébert about that time in Port Royal. BLANCHARD... First settler: Guillaume Blanchard, who would have arrived in Acadia around 1640 with his wife, Huguette Poirier, and son, Jean Blanchard. Guillaume Blanchard would have been around 50 years old and his son, Jean, 29. BOURG... First settler: Antoine Bourg (or Bourque) arrived in Acadia about 1636. He was born about 1609 in France. About 1636, he married Antoinette Landry in Port Royal. BOURGEOIS... First settler: Jacques Bourgeois, the son of a military officer, arrived in Acadia around 1642 from Couperans-en-Brie, Champagne, France where he was born about 1620. He was a surgeon (medical man). He arrived with Charles de Menou d'Aulnay who was returning from France to Acadia after being named the governor. At the head of an armada of 4 ships, d'Aulnay brought a recruitment to Acadia composed of artisans, workers and 18 complete families. Despite the capitulation of Port Royal in August 1654 following an British attack, Jacques Bourgeois decided to remain in Acadia with his wife, Jeanne Trahan, and his two sons and two daughters. Following the withdrawal of troops from the French garrison, the English decided also to leave, and the habitants governed themselves by means of a council presided over by Bourgeois' father-in-law, Guillaume Trahan. In 1644, Jacques Bourgeois married Jeanne Trahan who had arrived in Acadia in 1632 with her parents and one sister. In time, he was a lieutenant of the Port Royal militia. At the 1671 Acadian census, he had 20 or so acres of land under cultivation, 33 head of cattle and 24 sheep. In 1672, he founded the Bourgeois colony, later known as Beaubassin on Chinectou Bay. Many of their descendants were deported to Massachusetts. Jacques Bourgeois' great-grandson, Armand Bourgeois married Marguerite Dugas in L'Assomption, PQ in 1766. Armand's parents, Claude Bourgeois and Marie LeBlanc married in Acadia in 1721. It would appear that when the family made its way back to Canada, they arrived in Québec, or maybe they had left Acadia before the expulsion. BREAU... First settlers: Vincent Breau (or Breaux, Brot, Braude) arrived in Acadia about 1652 as a laborer and plowman. Vincent Breau and his sister, Renée, were recruited around 1650 by Charles de Menou d'Aulnay, governor of Acadia. At the time, Vincent Breaux was a bachelor and his sister, Renée Breaux was newly married to Vincent Brun (2nd marriage for him) and had a child, Magdeleine (who later became the wife of Guillaume Trahan). Source: The French-Canadian Heritage of New England, by Gerard J. Brault, p. 112. The census of 1671 indicates Vincent Breau had 9 cattle and 7 sheep, and had 4 arpents (approx. 4 acres) under cultivation. COMEAU... First settler: Pierre Comeau (Comeaux) arrived in Acadia from Puilly-en-Auxois, France, around 1641. He was a barrel maker. CORMIER... First settler: Robert Cormier arrived in Acadia around 1640 with his wife, Marie Péraude, and their eldest son, ancestor Thomas, who was about 9 years old at the time. Robert Cormier was a master boat builder from LaRochelle, Aunis, France. His son, Thomas Cormier, was a carpenter and farmer. DOUCET... First settler: Germain Doucet. Although not actually a settler because he returned to France, he did leave two married children in Acadia who became settlers. Germain Doucet arrived in LaHeve, Acadia in 1632 with commander Isaac de Raizilly. In July 1640, Doucet was captain (keeper ?) of arms in the village of Pentagouet, Acadia... capitaine d'armes de Pentagouet. Doucet returned to France after capitulating to the invading New Englanders (Bostonians) in 1654. He left 2 married children in Acadia: Pierre, a mason, and ancestor Marguerite-Louise-Judith Doucet married to Abraham Dugas. Not sure if Germain Doucet's wife, Marie Bourgeois, remained in Acadia or was even alive in 1654. DUGAST (or Dugas)... First settler: Abraham Dugas, born in 1616 and a native of Toulouse, France, was a gunsmith for the king of France. He was also lieutenant general serving in Acadia. He arrived in Port Royal, Acadia, in 1640 where he married Marguerite Louise Judith Doucet, daughter of Germain Doucet (above) in 1647. Eight children were born of this marriage, five of them are ancestors in both Lizotte (Sénéchal) and Camirand (Dargie-Turcotte) lines. As a point of information, Louis Dugas, a fourth generation descendant of Abraham Dugast, was born in 1703 and with his family was deported to Connecticut. Members of his brother Charles's (born in 1712) family settled in Louisiana. A third brother, Claude, born in 1712, and his family were deported to Massachuetts; later in 1772 they settled in Ste. Foy, Quebec. Certain members of a fourth brother, Michel, born 1715, settled in Quebec and Rimouski. None of the above-mentioned brothers are ancestors in my family. FOREST (or deForest)... First settler: Michel Forest arrived in Acadia in 1659 at the age of 33. His grandfather, Jesse deForest grouped an important following of Huguenots who in 1623 established themselved in New Amsterdam (New York). The family was originally from d'Avesne, Flanders, Belgium. Between 1654 and 1667, Acadia was in the hands of the English -- it is at this time that Michel deForest, Pierre Melanson and Lawrence Granger, (the latter two from England) established themselves in Acadia and married Acadians. Michel Forest had six children in a first marriage to Marie Hébert, among them a son named René. He had another child, Marguerite, by a second marriage to Jacqueline Benoît in 1686. Charles Forest (the name lost the 'de' in 1693) of Port Royal, the son of René deFrorest, was deported to an unknown location. We later pick up his trail at Saint Jacques, Louisiana in 1766. GAUDET... First settler: Jean Gaudet arrived in Acadia about 1628 with his three children, Françoise, Denis and Marie. He appears to have been a widower. It is quite possible that he was part of the first expedition of Poutrincourt -- one of the founders of Acadia. In 1628, he married Nicole Colleson. They had one child. GIROUARD... First settler: François Girouard who arrived in Acadia sometime before 1649 when he married Jeanne Aucoin. He was born around 1621 in Poitiers, France. GRANGER... First settler: Lawrence (Laurent) Granger was a sailor, who with Michel deForest and Pierre Melanson established themselves in Acadia and married Acadians. This occured between 1654 and 1667 when Acadia was in the hands of the English. Lawrence Granger was born in 1637 at Plymouth, England. He is part of that small percentage of Acadians who do not have their roots in France. Having arrived in 1659, he married an Acadian, Marie Landry in 1666. From this union 8 children were born. Joseph Granger (third generation of this same lineage) born in 1707, was deported to Falmouth, England where he died in 1757. HÉBERT, A... First settler: Antoine Hébert settled in Acadia about 1645. He married Genevieve LeFranc in Acadia in 1648. He was a barrel maker. In the 1671 census, he had about 6 acres of land uder cultivation, 18 head of cattle and 7 pair of sheep. HÉBERT, E... First settler: Étienne Hébert was a laborer and a cultivator who married Marie Gaudet in 1650 at the age of about 21. Étienne was from LeHaies-Descartes, Balesne, Touraine, France. Chances are he arrived in Acadia in 1649 or 1650. Martine married to Nicolas Barillot. LANDRY... First settler: René (the elder) Landry's name appears on the Port Royal census of 1686. He was from Ventrouze-Mortagne, Normandy, France where he was born around 1618. He married Périnne Bourg in Port Royal, Acadia, in 1644. LeBLANC... First settler: A ploughman, Daniel LeBlanc arrived in Acadia around 1645, where he married Françoise Gaudet in 1650. He was registered at Port Royal in 1671. A point of information: A descendant of Daniel LeBlanc, Alain LeBlanc, born at Grand Pré in 1731, was deported to Southampton in England. From there he was sent to Belle-Ile-en-Mer (France) in 1765. He returned to Acadia aboard the ship Robin in 1774. LORD... First settler: Julien Lord (or L'Or or Laur) was probably from the Orleanais region of France where he was born around 1654. In 1674, he married Anne Girouard in Acadia. Julien Lord's great-grandson, Charles Lord married Marie-Josette Blanchard in 1755... don't know where. However, their child, Marie Lord, who was born around 1758, married Jean-Baptiste André Camirand in 1778 at Pointe-du-lac, PQ. One might guess that the family slipped out of Acadia, or were deported to nearby New England and made their way back to Québec. MELANSON... First settler: Pierre Melanson (dit La Verdure)was born in England. He settled in Acadia with his wife and had a least three sons, Pierre, Charles and Jean. Both Pierre and his brother Charles were considered to be of Scottish descent. They arrived around 1657 aboard one of Sir Thomas Temple's ships. The two brothers, along with Pierre Terriot, are co-founders of Grand Pré. Charles Melanson(dit La Ramée), born about 1643 in England or Scotland, married Marie Dugas around 1663 in Port Royal, Acadia where they established themselves. Pierre Melanson born about 1632 in England or Scotland, married Marguerite Mius d'Entremont in 1665. Pierre and his wife were among the first to arrive in Grand-Pré in 1682. Ambroise Melanson (son of Charles) died in Quebec city in 1756 and his brother Jean died in Cherbourg four years later. Others of the second generation (of Pierre's lineage) settled in Quebec following the deportations of 1755-62. 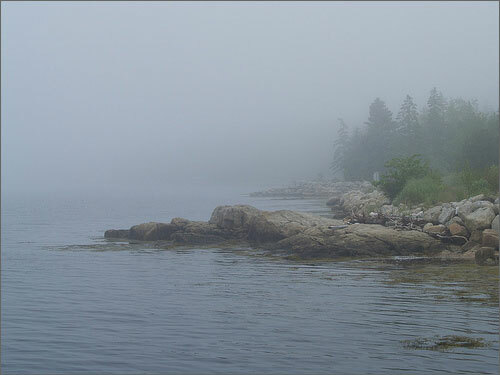 Certain members of the third generation returned to Nova Scotia and settled the area of Saint-Mary's Bay. PITRE... First settler: Jean Pitre from Flanders. His wife, Marie Pincelet, was from Paris. They arrived in Acadia as adults and married there in 1665. At the 1671 Acadian census, Jean Pitre was a 35-year old knife maker (tailliandier) with a wife and three children. He had one cow, no sheep or cultivated land. Jean Pitre's great-grandson, Louis Pitre, married Madeleine Marcotte in January 1774 at Cap Santé, PQ. Louis Pitre's parents, Joseph Pitre and Catherine Thibodeau, were married in Acadia in 1741. PRINCE... First settler: Jacques Prince (or LePrince). Jacques Prince's great-great grandson, Victor Prince, married Esther Bourgeois in Agust 1795 in St. Jacques, PQ. Victor's parents, Timothee-Joseph Prince and Anne Richard, were married in Acadia in 1767. If the data is correct, it would appear that the Princes were among the group who made their way back to Acadia after the expulsion. Eventually, their drifted down into Québec. Victor Prince had a sister, Louise, who married in Nicolet, PQ. RICHARD, FRANCOIS... First settler: François Richard was the son of a wine merchant in Auray, Brittany. He was born about 1685 in Brittany and arrived in Acadia in 1707 as a bachelor. François Richard was able to sign his name. He would have arrived in the company (in the bosom of) a French naval unit. Note: PRÉFEN (www.unicaen.fr) states this: "Il serait arrivé au sein d'une companie franche de marine." In October 1710, he married Anne Comeau in Port Royal. RICHARD, MICHEL... First settler: Michel Richard arrived in Acadia with Emmanuel LaBorgne and Guilbault in 1651 or 1652. He would have been 21 years old at the time. Michel Richard's first wife was Magdeleine Blanchard. They were married in 1656. Together, they had 10 children. After Magdeleine Blanchard's death, Michel Richard remarried in 1682 to Jeanne Babin. They had 2 children. SAVOIE... First settler: François Savoie (or Scavoie) arrived in Canada about 1643. At the 1671 Acadian census, he was a 50-year old laborer with 4 head of cattle and 6 acres of land under cultivation. François Savoie married Catherine LeJeune in 1650. Catherine LeJeune dit Briard had also arrived in Acadia in 1643. Together, they had at least 9 children. TERRIOT... First settlers: Jean Terriot and his wife Périnne Beau (or Ruau)... First in line out of Acadia: Catherine born in November 1659 in St. François-du-Sud, Québec. Her parents Joseph Terriot and Marie-Agnès Cormier must have moved, or escaped into Québec. THIBODEAU... First settler: Pierre Thibodeau, a miller, was born in Poitou in 1631. he arrived in Acadia in 1654 and married Jeanne Terriot around 1660. He established himself at near Port Royal where he built a mill in an area called Préé-Ronde, and soon became relatively prosperous. In the spring of 1698, he and a son were established at Chipoudy. The couple had 13 children. TRAHAN... First settler: Guillaume Trahan was a blacksmith and a toolsmith from Bourgueil, Anjou, France. He departed Anjou, 4-1-1636 on the ship, St. Jehan, with his wife, Françoise Charboneau, and 7-year old daughter, Jeanne Trahan. At the 1671 Acadian census, Guillaume Trahan was about 60 years old and a marshall (maréschal) living with his second wife and three young children. He had 8 head of cattle, 10 sheep and 5 acres under cultivation.